It is now confirmed that Kawaii Kakkoii Sugoi will be hosting auditions on the popular Mobile App SURT for talents who are influenced by Japanese culture and dream of becoming the next big hits in Japan. 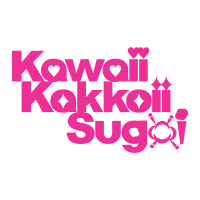 All submissions to Kawaii Kakkoii Sugoi Audition on SURT will be judged by entertainment executives from major Japanese music labels including Sony Music Entertainment (Japan), Inc.. The winners of this audition will be provided with a chance to debut in Japan. No age, gender, nationality, or location is required in this audition. Anyone in any place of the world will be able to join it simply by submitting their videos on the mobile app SURT. The audition is open now, so follow the instructions below and join Kawaii Kakkoii Sugoi Audition today! Now you are participating in “Kawaii Kakkoii Sugoi Audition”! Be patient and wait for the good news if you are selected as one of the winners! Right now, submitting your audition is FREE until August 28th, 2015. Afterwards, the submission fee will be $9.99 USD. Besides Kawaii Kakkoii Sugoi Audition, we are excited to announce the launching of another audition project, BIG IN JAPAN Audition, on SURT. BIG IN JAPAN Audition is widely open to all genres of musicians; not only Japanese-culture influenced performances, but also American and Western music acts are welcomed! For all the talented musicians, participate in BIG IN JAPAN Audition today, and get noticed by major music labels for a chance to debut in the U.S.A!